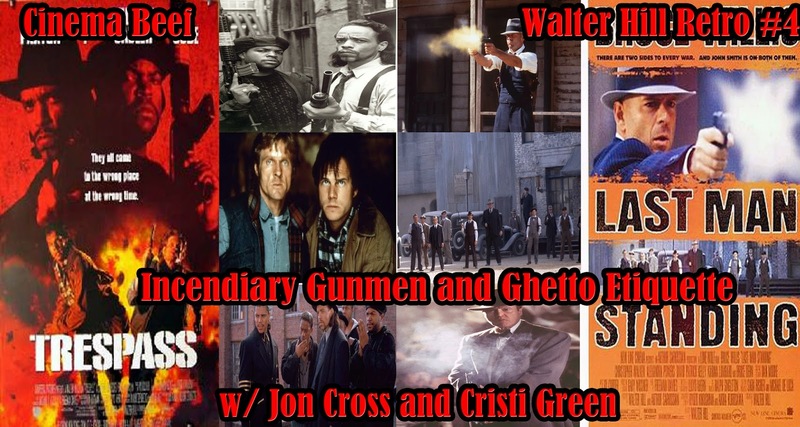 Welcome to Cinema Beef as we continue to celebrate our one year anniversary with show 4 of the Walter Hill retro! On this edition, I am joined by ace podcasting royalty Jon Cross and that horror hating darling Cristi Green! First up, we tackle racial tension, gold and not to mention bickering assholes in Trespass from 1992. Then, we discuss angry gangsters with a mutual problem in the form of Bruce Willis in a small border town in Last Man Standing from 1996. Get this show and lots of other awesomesauce at The League of Extraordinary Podcasts!